Nest Designs LLC is conveniently located near Miami Valley Hospital and the University of Dayton. 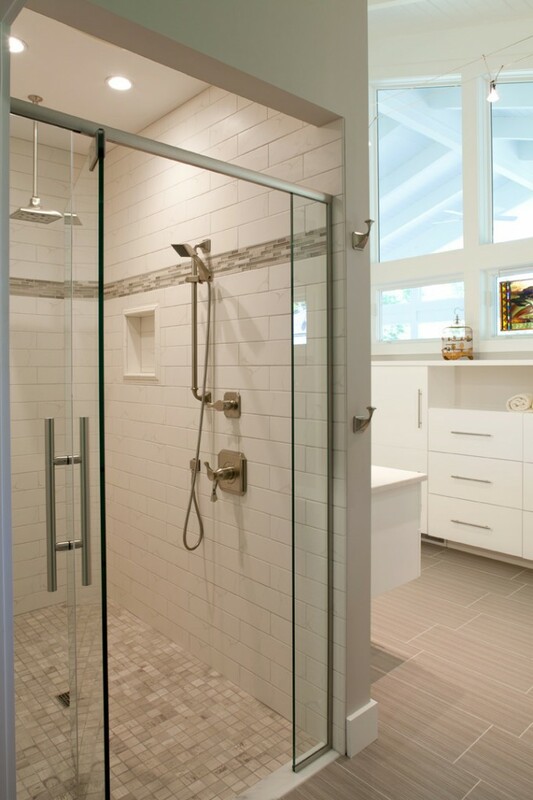 Nest Designs was hired to design the master bathroom. 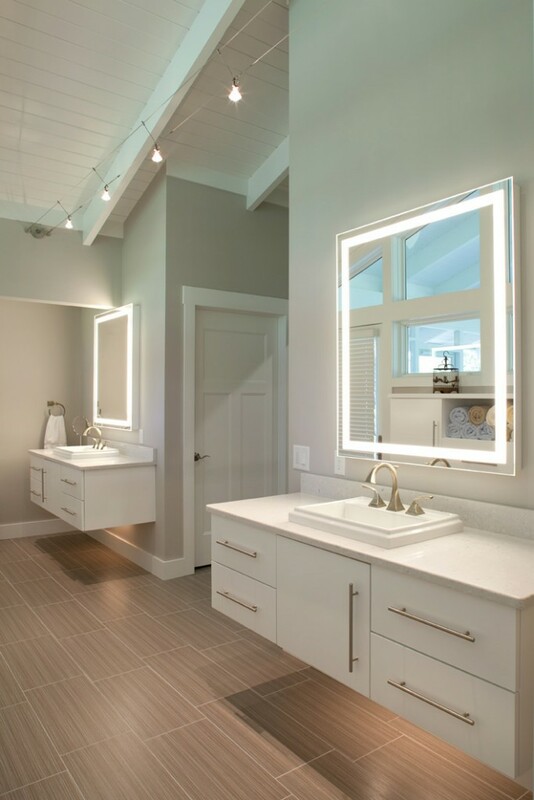 I designed the vanities for this space and sourced out the electric mirrors for the walls. The counter-tops are made of quartz, the same material we used in the kitchen. I used Brizo faucets, Kohler sinks, Zera tile for the floor and carved in the master shower (located behind the right vanity) and the lavatory (located behind the left vanity). There is a master closet, not pictured, to the rear of the bathroom. 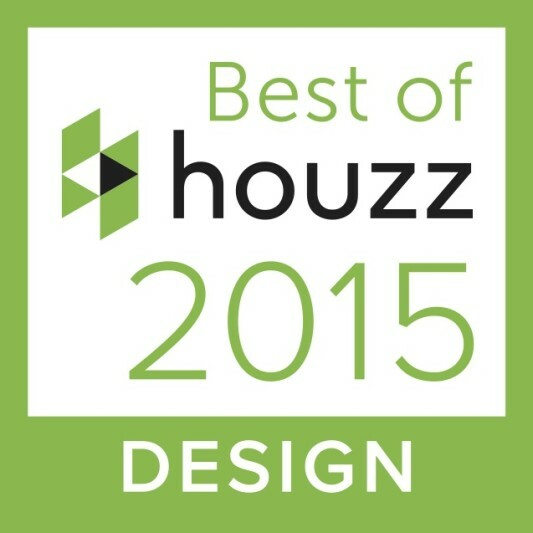 I worked with Diane at Premiere Lighting on the lighting plan for the entire house. TECH cable lights were used as the overhead lighting and we added LED tape under the vanities to illuminate the space at night. Photo by Bealer Photographic Arts. This image shows the interior of the master shower. The walls are a 4×16 tile with a glass mosaic and stone accent border. The rain head and shower head are Brizo Virage. We had a custom glass enclosure made for the shower. There are recessed shower shelves and a corner seat (not pictured). 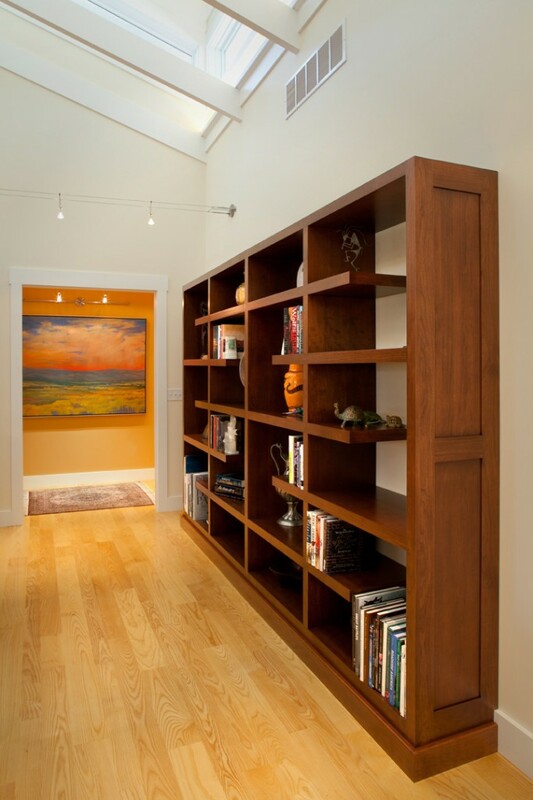 In the upper right of this image you get a partial view of the linen storage that I designed for this space. It gives the owners ample storage for all of their linens and toiletries. 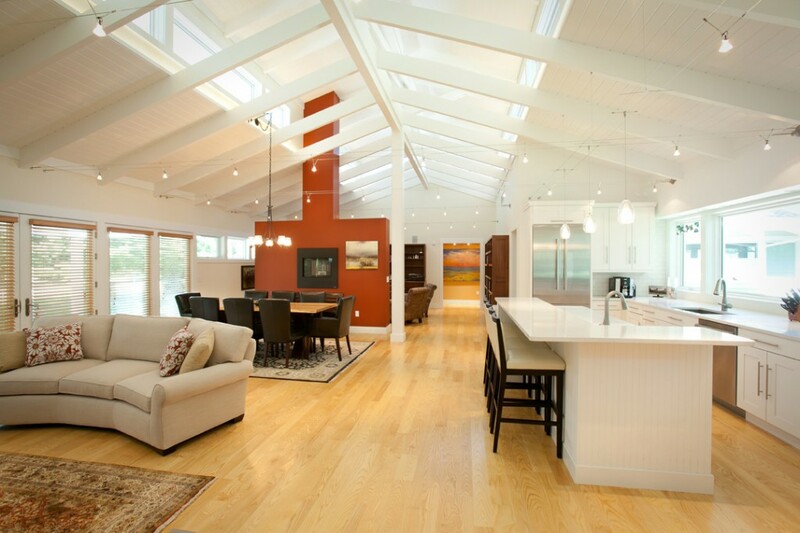 The challenge for this space was to maximize every inch of the space while creating a floor-plan that had great flow. 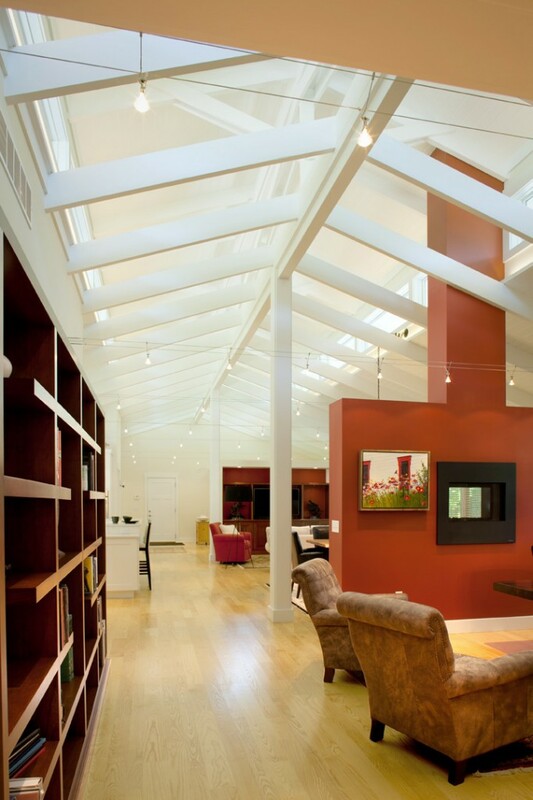 This space feels open and airy. It is absolutely beautiful in person. Photo by Bealer Photographic Arts. This space developed over the course of the construction of the house. 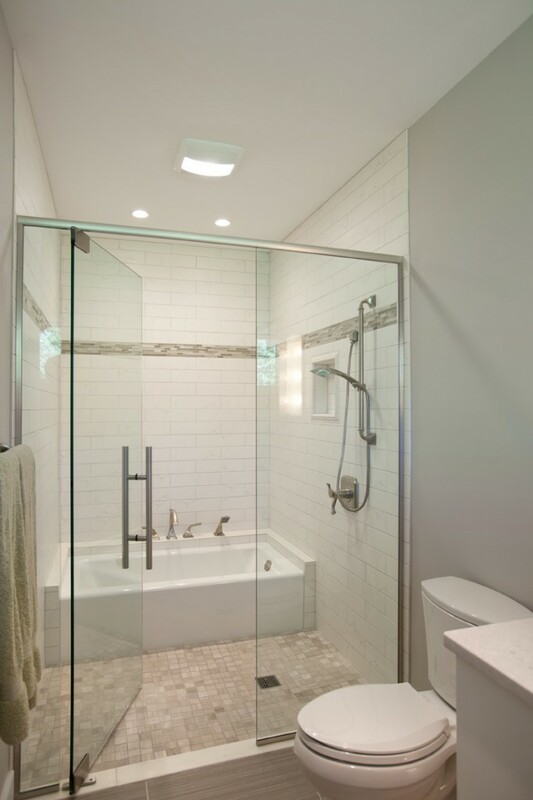 Originally, there was only going to be a tub in this guest bathroom, but the owner decided she wanted to add a shower too. As you can see from the image, my new design added the shower area in front of the bath tub and enclosed both elements behind a glass enclosure. The same tile that was used in the master bathroom was also used in this bathroom. There is no curb/step that divides the shower from the rest of the bathroom. The bathtub is ADA compliant and the toilet is comfort height. Photo by Bealer Photographic Arts. 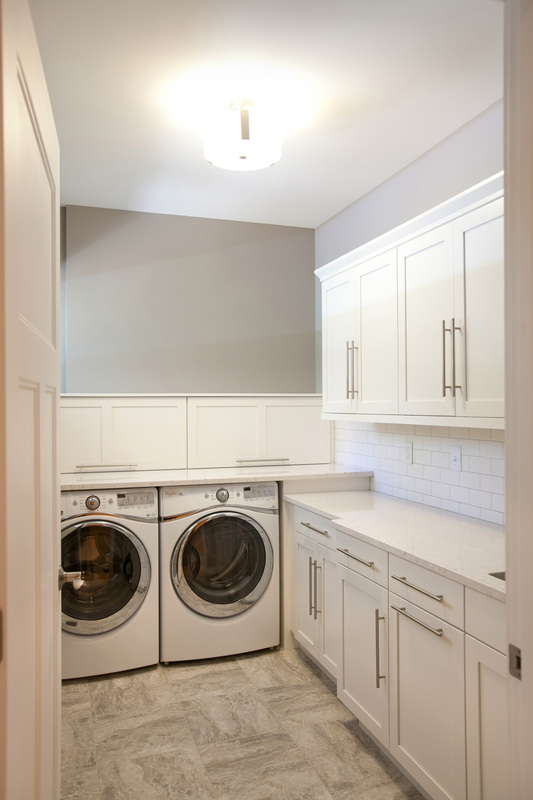 This gorgeous laundry room has quartz counter-tops, WoodMode cabinetry, vinyl tile flooring with grout, subway tile with a light gray grout for the back-spalsh and a silgranite wash sink (not pictured). Photo by Bealer Photographic Arts. 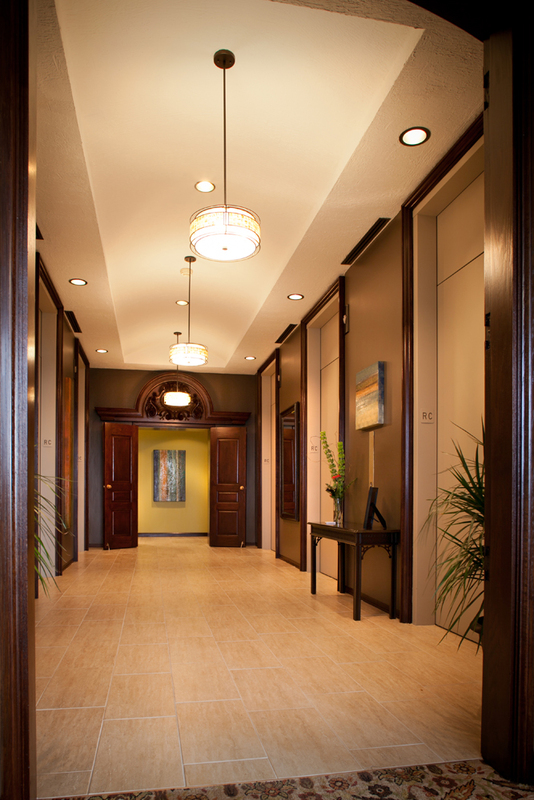 Nest Designs was contacted by the Dayton Racquet Club to help them update their elevator bay. Replacing the existing flooring, with new 12×24 tiles, made a huge impact on the space. We also decided to paint the walls, the elevators and add an accent wall in the background for a pop of color. The lighting was an update from my previous work with the Dayton Racquet Club. Photo by Bealer Photographic Arts. 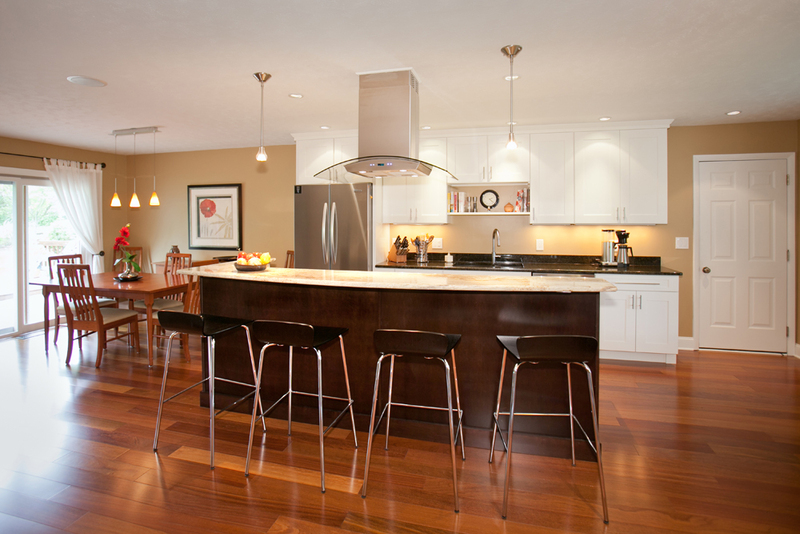 Nest Designs was contacted by a homeowner who was ready for a change to his existing kitchen. 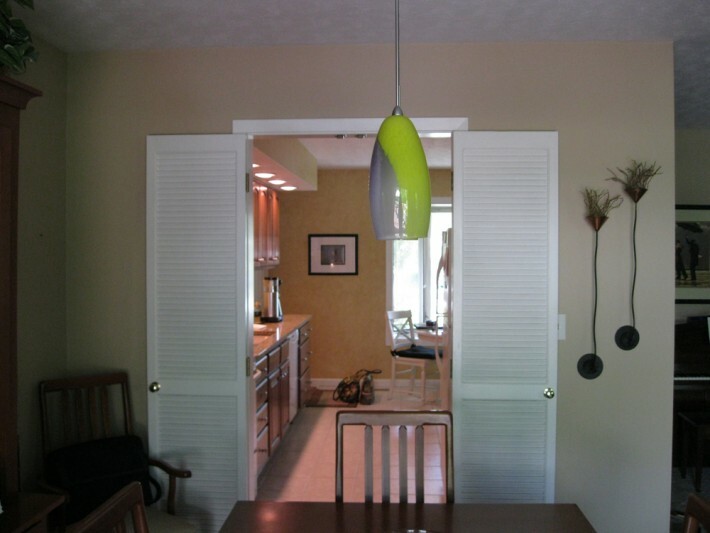 The above image is what his kitchen looked like before the renovation. Here is what his kitchen looks like now. As you can see, we removed several walls and opened up the kitchen into the living area. That was just the start of the transformation. My design also added a dual height island with seating for four. New flooring, new granite counter-tops, a new lighting plan and a peninsula hood are also part of the this space’s transformation. Photo by Bealer Photographic Arts. 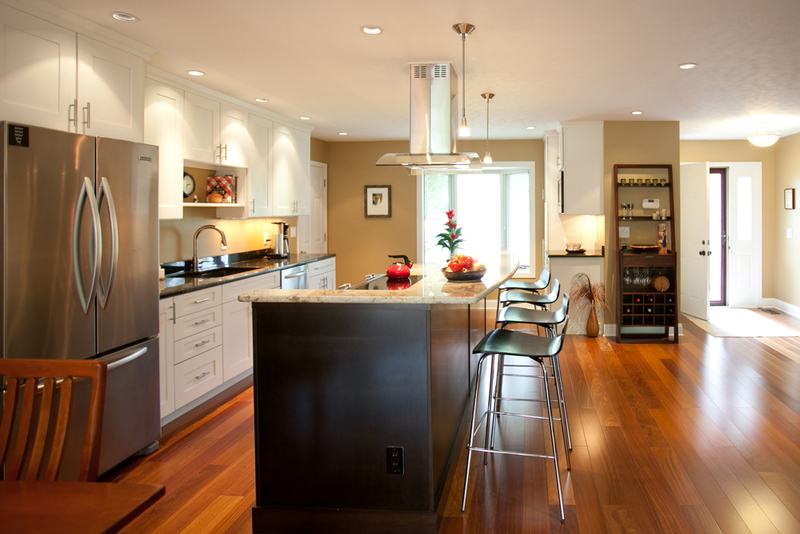 You can see how the two colors of kitchen cabinetry play against each other in this image. There are also two different types of granite on the counter-tops. Photo by Bealer Photographic Arts.